REFERENCE: Siobhan Roberts, King of Infinite Space, Donald Coxeter, the Man Who Saved Geometry (New York: Walker & Company, 2006), pp. 41-44. Donald Coxeter has been considered one of the greatest geometers of the 20th century. Born in London in 1907, he spent most of his life in Canada, working for over 60 years at the University of Toronto. According to his biographer, Siobhan Roberts, Coxeter’s investigations into geometry “deepened the investigation of symmetry” and his “famed Coexter groups, Coxeter numbers, and Coxeter diagrams” became, in the words of fellow mathematicians, “tools as essential as numbers themselves.” Beyond the field of academic mathematics, his work also inspired M.C. Escher as well as Buckminster Fuller. What seems less well-known is that Coxeter the boy also devoted himself to worldplay. From the ages of seven to eleven (or thereabouts, corresponding to World War I and the period of time he spent living with his nanny outside London), he began to invent an imaginary language called “Amellaibian.” Soon enough, there were imaginary beings, spherical fairies known as “bainia,” who relied upon batteries made of all sorts of odd materials for their energy. Young Donald elaborated this world in a novella devoted to the fairies’ family life and assorted adventures. Also included were vocabulary lists, histories, genealogies, short stories and lists of important events, such as fairies’ birthdays. No surprise, the “treatise” as biographer Roberts calls it, dealt increasingly with issues mathematical. She reproduces a page describing the Amellaibian expression of addition and multiplication; she notes, too, the many pages devoted to weights, measures, formulas, equations and Amellaibian magic numbers (Roberts, pp. 41-44). This is classic worldplay, with all the stops pulled out. 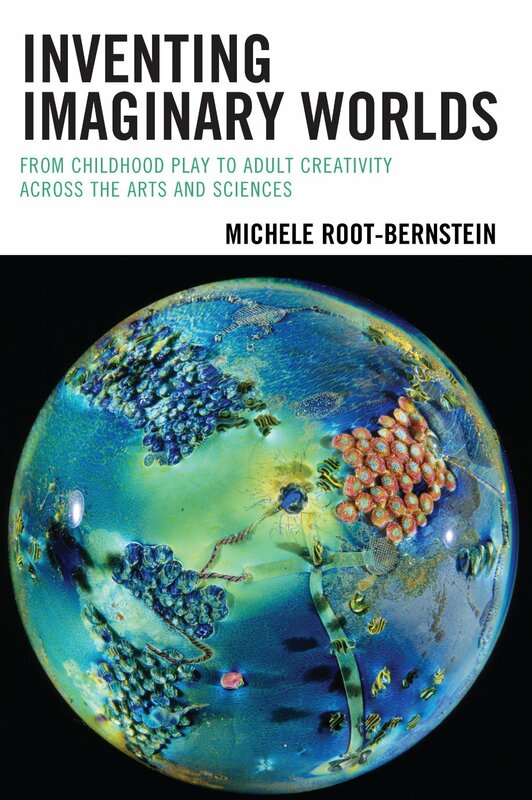 Roberts suggests that Donald may have been shocked into “alternative worlds of his own creation, taking refuge in music, mathematics, and make-believe” by his parents’ divorce and his separation from them both. Certainly a variety of life events and conditions can form the backdrop to worldplay: family dysfunction, but also illness, social isolation, boredom, shyness, intense wonder and imitative drive. What is compelling in Donald’s case is that the child, of his own volition, threw himself into the enthusiastic inventions of play. He explored in childhood the creative potential finally fulfilled in maturity. This entry was tagged constructed language, creative play, creative potential, Donal Coxeter, imaginary world invention, invented language, worldplay. Bookmark the permalink.